Interactive Presentation Technology enhances Teacher and Student Identity Work, and improves educational outcomes: An application of some popular perspectives in the Social Sciences. 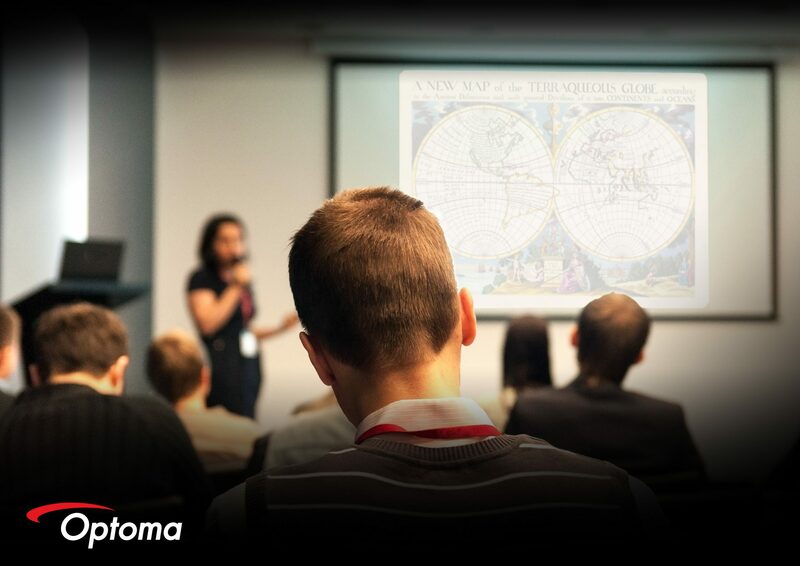 This article sets out to explain why Educators should adopt Integrated Presentation Technology. In this article the phrase ‘Interactive Presentation Technology’ will be used to describe interactive whiteboards, interactive LCD panels, and interactive projectors. The overall thrust of the piece being that modern Interactive Presentation Technology, when combined with the delivery of a good teacher, will aid learning. And that this benefits students, teachers, and schools alike. To support this stance we’ll firstly describe the functionality of the technology in general conversational terms, then we’ll draw from the Social Sciences to provide arguments promoting its’ utility to education. The language in the article meanders between the three following styles: a) conversational, b) the Business / Marketing Register, c) the Academic Register. To begin: I apologize for referring to myself during the next few paragraphs. It’s poor form, but in this case the product category adds value to a commercial space in which I have quite some experience. I can’t think how to convey my enthusiasm for the category without drawing from, and conveying personal experience. There’s value in this group of products: They are really useful tools. I was first exposed to Interactive Presentation Technology a couple of years ago watching Barton Lynch (the Australian Surfer: 1988 World Champion) on T.V. illustrating on an interactive LCD panel how he would most profitably carve a wave under ASP competition rules. Seeing him manipulate video footage; drawing an explanatory diagram onto a film-clip in real-time, I was impressed! ‘That’s handy!’ I thought, remembering lecturing and presentation work I’ve done, thinking how presenting with this interactive gear would’ve facilitated the message more effectively than the passive whiteboards I was lumped with. I’ve discussed this technology with people I know who lecture, or make a lot of presentations (My parents were both teachers / lecturers. A lot of my friends are lecturers or marketers also): When we’d exhausted Politics, Religion, Personal Income, and all the other topics one is advised to avoid at social gatherings, on occasion the conversation drifted to the mechanics of presentation: different presentation styles, what tools would be helpful etc. ; we’re all in agreement about the utility of this product category. Everyone agrees that Interactive Presentation Technology trumps passive presentation tools almost all the time. The aim of this article is not to promote any single brand specifically, but act as a ‘Primary Demand’ piece stimulating interest in the latest Interactive Presentation Technology as a product category. By explaining the exact purpose of this marketing piece, I run the risk of sabotaging myself, but transparency enhances communication, and, I’m hoping candour will at least encourage the Reader, if nothing else, to gauge whether the article has constructed arguments that help realize the stated intentions. i) Expediting scaffolding (Wood, 1976) students to uptake, thus nourishing self-Role Identity ‘Teacher’, and its’ concomitant sense of efficacy. ii) Through a strengthened sense of Identity Congruence (Maio & Olson, 1997) with the product category, enhance the Role Identity ‘Modern Educator’. It is hoped the obvious practical utility of the technology, combined with the above Identity benefits will generate internal advocacy for this technology by the front line Educators, should they find themselves party to procurement planning. Simply put in marketing terms we’re hoping to facilitate ‘consumer pull’ from the teachers. 2) Strengthen the Education Brand: We assert that adopting these new technologies will enhance the schools’ ‘Brand Equity’ (West, D., Ford, J., & Ibrahim, E., 2006) in the market. It is suggested this ‘value-add’ can be promoted as an augmenting factor in a schools’ pitch to parents of prospective students, and indeed to the prospective students themselves: We live in high tech. times with associated high tech. consumer expectations: This category provides high tech. solutions. Later in the piece it is suggested that institutional adoption of Interactive Presentation Technology also supports positive Identity work for Students and Educators alike: thus expediting most-preferred educational outcomes, which in themselves further foster Brand Equity. 3) Using the two arguments above, to influence the Bursar / Decision Maker(s) from multiple angles, with compelling arguments beyond simple ‘cost leadership’ against competing (cheaper) presentation technology, that they might apply a more multi-dimensional analysis of ROI when considering capital purchases for their institution. In the classroom and lecture theatre presentation tools have evolved: For example, the passive blackboard developed into the passive white board, which then further evolved into the interactive whiteboard / interactive LCD panel. What exactly is an interactive whiteboard / interactive LCD panel (the two titles are interchangeable)? It is an electronic screen Input / Output device the size of a traditional whiteboard. An interactive LCD panel, like a computer can be connected to The Web. Like a computer also it can read or playback data from various portable drives such as USB or flash-drives and can accept input from other linked input devices, such as keyboards, or tablets, a laptop, even a smart-‘phone. This is a major benefit for presenters with mobility impairment as they no longer need to be near a board when using it. Because the interactive panels are ‘on The Web’ the content on the board is not limited to consumption by people near the board: One can perform all manner of wonders with the lecture / lesson material, like instantly sharing online with whomsoever we wish to include: What is on the board can be disseminated immediately amongst those present, and / or people on the other side of the World. Instantaneously! Interactive LCD panels / interactive whiteboards can function as monitors also. An added function being the screen can be split into discreet zones, such that one zone might be working as a monitor (maybe displaying some video content) whilst documents are worked on concurrently in another zone on the screen. Picture a multi-campus presentation with one part of the screen assigning to video-conferencing, whilst at the same time assigning the rest of the screen as a whiteboard or an input, the contents of which can be seen on or off-site by anyone invited to the presentation: All of which can be printed, shared, or published online instantly. The addition of collaboration interfaces allows participating students to contribute to the presentation as well: Two way collaboration with the presentation between the presenter and the audience. Thus facilitating ‘gamified’ lesson material or simply allowing students to manipulate what’s on the presentation board from a distance. Apart from the benefits of allowing for multiuser collaborative / co-creative lesson plan development, this feature also caters for mobility impaired students. An interactive panel can also function as an input terminal for your computer. This means a group can work together at the ‘front of the class’ working on spreadsheets, documents, mind-maps, diagrams, or any type of file really. It’s not only whiteboards and panels that have become interactive. Projectors are now interactive also, offering most of the same functionality as the interactive whiteboards but bigger. In terms of being able to draw on the screen, use your hands to swipe objects around that screen, or input data, interactive projectors can now be operated in the same way as your tablet device also, only on a much, much larger scale. What we have is a projector image on a screen as we’re used to, but the interactive projectors provides for manipulation of content in much the same way that the interactive whiteboards allow for. Having outlined the mechanical functionality of interactive LCD panels, interactive whiteboards and interactive projectors, this next section seeks to address the decision makers in the Procurement Process, by proffering some academically structured reasoning supporting the promotion of Interactive Presentation Technology into The Education Sector. By providing a background from the Social Sciences this article presents a series of arguments answering the question why a user (in this case Teachers and Students) might prefer one product (or product category) over another: what might it mean when a person says ‘I like this thing’? To specifically analyse user motivation behind the adoption of Interactive Presentation Technology, looking beyond the aforementioned functional utility of the category, it can be argued that interactive presentation tools can be regarded as vehicles for units of Social Meaning, and as such, that they add symbolic value to the functional value, which, by consequence, adds downstream financial value to the education function. To illustrate this correlation between phenomena which may not immediately strike the reader as related, the argument will firstly explore overarching behavioural theory (as foundation conditions to the explication), to provide a basis upon which to apply progressively more focused constellation arguments to the proposition. 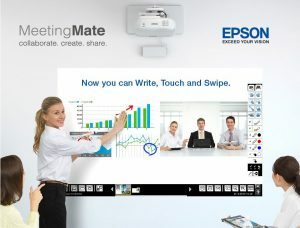 Epson have a great range of Interactive Projectors: replete with the functions mentioned in the article. 5thCorner installs plenty of these, and the market feedback is all good. To present the argument that implementation of the most functional educational tools actively enhance the emotional well-being of both Teachers and Students, and that symbolic value inheres in consuming Interactive Presentation Technology, we’ll first look at what factors are commonly cited as influences / drivers behind behaviour: The Theory of Reasoned Action (Fishbein & Azjen, 1975) is popularly regarded as axiomatic among marketers; as a foundation to understanding why people do what they do ( Cha, 2011, Eid, 2011, Fishbein, 2008, Fitzmaurice, 2005, Ha & Shoel, 2007, Mano & Oliver, 1993, Trafimow, 2009, Umit Kucuk, 2009). This will tie-in with Symbolic Interactionist principles of Identity formation and Identity management, and how they are realized through interaction with the product category under scrutiny, to integrate with some theories regarding cognition and affect. Then we’ll apply these models to lecture / lesson delivery and suggest how the use of modern interactive presentation tools can enhance Role Identity in the presenter and the recipient, foster audience engagement, and deliver improved educational outcomes. The end result of which being improved ROI for educational establishments implementing Interactive Presentation Technology. The Theory of Reasoned Action (Terry, Gallois, and McCamish, 1992) posits that behavioural decisions are based on reasoned consideration of all available information, and that the intent to engage in an activity is a relatively reliable indicator the behaviour will be forthcoming. Antecedent to intention are attitudes to the activity, and subjective norms: The attitude is based upon behavioural beliefs about the activity, and subjective norms are based on normative beliefs. Attitude towards the behaviour is influenced by the actor’s perspective of the consequences of engaging in it: Should a person believe the commission of the activity in question will bring about negative physical or emotional results, it is safe to assert they will avoid engaging in that action. This beggars the question ‘in exactly what domain of existence these consequences will manifest, and what factors are likely considered in the analysis of potential emotional results?’ A Symbolic Interactionist perspective will be applied to suggest both questions are possible to conceptualize through the filter of Identity and Identity Management. The notion of subjective norms suggests that a person is socially pressured to behave certain ways in order to garner positive assessment from meaningful others. Obviously the degree to which these norms affect a persons’ intention is weighted by degree of motivation to comply with the referents in question (Terry, Gallois, and McCarmish, 1992: Lewis, Kashima, 1992) and the referent’s regard in the eyes of the subject. If the attitude component is stronger than the need for positive third party appraisal/adherence to social values (in this particular domain and instance) then the intent will not be forthcoming. Note external judgment as a critical social phenomenon contributing to the formation of intentions. In summary we see reference made to the notion of attitudes resulting from processing around behavioural beliefs. We also see norms as resultant from processing based around normative beliefs. Attitude and norms combine as antecedent considerations in deriving intention. The inherent social aspect of norms is a given, however, the social salience of attitude antecedent consequence warrants further investigation. Let us examine the ontological and epistemological influence of a socialized Self as it manifests in the above model. Central to attitude formation and the subjective component of subjective norms is the notion of Identity. ‘[I]dentities are not meanings in and of themselves, but signs that individuals and groups use to evoke meanings in the form of responses from others’. (Ezzell, 2009): Our Identity is our personal definition of Self and Mind as defined by our cognitive parameters. Our cognitive parameters in turn are filtered through culture via socialisation. We use linguistic symbols and semiotic symbols as referents in our internal processing: Neither of which exist outside a social environment (DeSaussure, 1916). Therefore our Identity is inextricably linked to and influenced by our social environments: ‘I am because We are’. Symbolic Interactionists roughly define Identity as being a dynamic social construct formulated via interaction with others and at the same time being dependent on process and environmental factors (Dennis & Martin, 2005, Collinson & Hockey, 2007). Similarly, Identity Theory and Social Cognitive Theory both posit that Self is situated in the context of particular Roles: People compare situational meaning with meanings ‘…associated with their identities’ (Strachan & Brawley, 2008). Likewise, The Formalized Theory of Self (Kinch, 1963) presents that an individual’s self-concept bases itself on the way others respond to them. According to these views we exist as an induced mirror: Upon which Meltzer (1967) expands by mooting; during the Game Phase of the development of The Self we construct our Generalised Self to a great extent by learning to view ourselves as we induce others would see us. In effect we ‘tak[e] the Role the other’ (pp14, para 3) in addressing ourselves from the standpoint of the Generalised Other. As such the logical order of function (both cognitive and affective) is Society=> Self=> Mind. To expand on this Cooley (1972) suggests that as part of our ongoing narrative with ‘Self’ we project onto others how we think they see us. In order to assess how this third party will assess us, we firstly analyse from which perspective the judgment originates: this require an initial appraisal by us of them (Goffman, 1959), based on salient data. Our level of inferential certainty is dictated by the amount of data we have access to. Although we can never be certain of our analysis of the symbols presented to us, we strive to process as many as possible and assume accuracy of judgment based on congruent feedback to communicative cues. Conversely we project symbols and objects to ensure a positive summation by our interlocutor: humans incorporate as many domain pertinent symbols as possible to broadcast the message ‘I belong here’ (Arndt, & Janney, 1991). Briefly put ‘Role identities are “reflexively applied cognitions in the form of answers to the question ‘Whom am I?”‘ answered in terms of the Roles one enacts.’ (Laverie, Kleine, & Kleine, 2002). The previous paragraphs focus heavily on the notion of judgment and the importance of third party ratification of our Identity. We also see that Identity is central to attitude formation and that Identity only exists within a social context. To further illustrate the valence of Identity Work in our decision making processes, based on the preceding notions, we can deduce, in reference to the Theory of Reasoned Action that consequence as a contributory factor to attitude formation must include considerations of Identity appraisal (alongside resultant factors in other domains of course). The conclusion therefore being that Identity Work is a strong influence in all our decision making processes. The previous paragraphs outlined the notion that we define ourselves on a domain specific basis, according to our perception of reflected social perception of Identity supporting signals. ‘[I]dentity formation requires interaction and interaction requires semiosis’ (Merrell 2001): the signals used to encode and transmit meaning, in this case the vehicles for the data required in defining our Identity. So, apart from the obvious tool of language, what other signals, signifiers and channels (De Saussure, 1916) are employed in this semiosis? You may be surprised to find that a great body of contemporary thought regards consumption patterns as potent social semiotics (among other semiotic modalities): Laverie, Kleine, & Kleine (2002) state: ‘[…] self-definitions arise from a person’s accumulated artifacts and consumption patterns.’ Further to which, Self-Congruity Theory asserts self-image congruity manifests when clients are attracted to products that present a symbolic image reflective of their own self-concept (Kwak, & Kang, 2009, Sirgys, 1986): and, a self-enhancing effect is derived from the consumption of a product surpassing self-expectancy of the perceived self-image outcome. Stuff helps us define ourselves. Now, let’s pull together the preceding notions to form an argument in favour of adopting Interactive Presentation Technology in pedagogy: We are told we project our Identity (via the media of Identity congruent semiotics) so as to initiate transmission of cues from significant others that ideally support our version of Self. Self-Congruity Theory states the appraisal of our Identity efficacy incorporates judgments about the extent to which our consumption patterns validate our Identity. Therefore we are judged by our association with products. We then reflexively judge ourselves (Appraisal) based on this judgment. Presentation Tools used in the classroom are products. By using these products the teacher is associated with them as semiotic vehicles of Role Identity. Therefore Identity appraisal (internal) and Identity judgments (external) about the Teacher incorporate value judgements about Interactive Presentation Technology. Therefore, positive judgments about Interactive Presentation Technology derive positive Appraisals of Self. We’ve already outlined the rich functionality of the category: What’s not to be positive about therein? Let’s now posit some possible Role Identities and evaluate how the process above reflects positive Judgment and Appraisal upon them. 1) Improving education outcomes. To Whit: Teaching (more?) students better. It is asserted here that Interactive Presentation Technology aids transfer of knowledge more than non-interactive presentation tools: Thereby enhancing all the above-listed positive Appraisal outcomes. Based on pure functionality alone this assertion is supportable. For example, all the teachers’ diagrams are instantly distributable amongst the students online: There is no need to copy the material again, therefore this is an efficiency saving, therefore this technology has aided in the transfer of knowledge more than passive presentation tools can. By working through the list of functions presented earlier in the piece similar arguments can be made asserting the functionality within Interactive Presentation Technology aids transfer of knowledge more than non-interactive presentation tools. As well as the teaching outcomes related Appraisal benefits above, further arguments could be made that consumption of state of the art technology might also nourish Role attributes like ‘up to date, modern, cutting edge’. Turning briefly to the subject of Student Appraisal, those same positive appraisal outcomes as were outlined for teachers can be ascribed to the Identity work of the students, in that they’d regard themselves in an esteemed light based on: A) Improved knowledge uptake, thus supporting Role Identity ‘Smart Student’, and B) their manifest consumption patterns in the category: ‘Educational Institution’ and the positive appraisal valence as would be evidenced through interacting with the most up to date equipment to support Role Identity ‘Modern Person / The Next Generation / The Future’. N.B. The last argument is of course voided should a school promote itself according to a Luddite, Romantic, or atavistic agenda. Schools with such a market persona naturally fall outside the scope of this article, as they would express no interest whatsoever in Interactive Presentation Technology. Let’s now examine some other factors that can be argued to support the notion that Interactive Presentation Technology improves the exchange of knowledge comparative to passive presentation tools. N.B. For The Reader not yet exposed to any Social Science or Cognitive Science, in this environment the word ‘affect’ is functionally closely synonymous with ’emotional evaluation’. There is much debate about the extent to which rational thinking is filtered by, or even overstepped altogether by emotional thinking. The next section of the article will examine how models based on unconscious emotional response to stimuli can also argue in favor of Interactive Presentation Technology enhancing learning outcomes and brand equity for the school. Having considered some basics of social Identity management let’s now approach a couple of perspectives regarding exactly how we process some of the information used to form judgments, and through what filters does processing pass. Reading the text up till this point we find reference to reason, judging, appraising, and evaluating, with the implied assumption that these are rational processes approached rationally. This is a popular perspective, and certainly one underpinning our earlier discussion. Contrary to this model however, Kopytko (2002) posits that ‘The newest developments in neuroscience (cf. Damasio, 1994, 1999; LeDoux, 1996, 2002) show that emotions in the context of decision taking deserve a status equal to, or sometimes even higher than cognition.’: Zajonc (1980) goes so far as to say that affect is usually pre-cognitive. According to this model we find ourselves faced with the primacy of affect over cognition (House 2000; Rachman 1981). Simply put, they are saying our brains ascribe affective judgments to cognition before cognition: We ascribe an emotional judgment to something before we’ve worked out what it is we’re thinking about! As alluded to earlier, a large body of marketing and related social psychology literature regards the order of psychological processes leading to judgment and evaluation as: Cognition, Affect, Conation: or knowing, feeling, doing. However, this (certainly convenient, if not idealized) conception of ourselves as ‘[…]Homo Cognoscens [:]a ‘pancontextualized’ cognitive agent, dependent on a number of mental (cognitive–affective–conative) and external (socio-cultural) interactive factors (Kopytko, 2002)’ appears wide of the mark, as, according to this model, we seem more emotionally charged than that. To what extent might these irrational affective judgments influence our thinking in the classroom? The next section will tie-in this perspective with that of Classical Conditioning to assert how the two notions combine to influence educational outcomes as dependent on presentation media employed. Classical Conditioning: The Medium hinders The Message? Classical Conditioning (Weiten, 2001) is an old behaviourist model still prevalent today: We’ll use this model to suggest how student affective responses to an educational message can be influenced / confounded by their affective response to the medium through which it is presented. Whilst many arguments have been made to refute Classical Conditioning, its artifacts are everywhere. In the simplest terms, and to explicate using a modality common to our shared experience, here’s how it works from the perspective of advertising: Objects of (assumed) obvious general desire (Object A) are presented to us. We ascribe an affective response to Object A. Presented at the same time as, and alongside (desirable) Object A is another product with less obvious desirability (Object B). Object B, by association with Object A, is evaluated in the same emotional light as Object A. Therefore Object B is ascribed the same affective response as Object A. Object B of course being the product advertised. This is why beautiful people populate adverts for toothpaste, and why people whose outward semiotics mirror our own are used to advertise products targeted to our segment. In order to understand how this process might be relevant to a students’ perception of presentation technology let’s examine the level of intensity inherent to the non-educationally focused information exchange interfaces they use outside the classroom. This is The Information Age (we’re told). Certainly communications media surround us, vying for our attention. In particular there is intense competition for students’ attention: Students are The Tax-Payers of the Future. ‘Mind Space / Front of Mind’ is how the marketeers refer to their goal. Students are bombarded with up to 3000 advertising messages per day (‘impressions’ they’re called in the industry). Regardless of the channel employed, these messages tend to be intense and demanding, aiming to invoke optimum arousal. To charge their messages maximally, Marketers apply ‘Gamification’, engagement, and Identity congruent narration to draw target suspects and prospects into a state of ‘Flow’ ([…]: ‘‘the state in which people are so involved in an activity that nothing else seems to matter” (Csikszentmihalyi, 1977, p. 72; Csikszentmihalyi, 1990; Freer, 2007; Garrity, O’Donnell, Kim, and Sanders, 2007; Jung, Perez-Mira, and Wiley-Patton, 2009; Partington, Partington, and Olivier, 2009) so they will either become habituated to the brand touch-points, or at very least reach a state of arousal most conducive to Message receptivity. More often than not, these messages and campaigns are saturated with Identity affirming / manipulating semiotics to ensure the recipient feels good about being advertised to (and would feel even better about themselves if they consumed the item advertised). Modern students also interact with ‘quick-fire’ social media and ‘short-burst’ entertainment artifacts: The point being conveyed by the above description of high intensity communicative experiences is that Students are constantly exposed to media which is aimed to stimulate maximally, with instant gratification offering the most preferred ‘path to completion’. Conversely to the above, a student, if enamoured with the up-to-date functionality of a presentation medium will apply positive affect to the medium, and therefore will, by association apply that positive affect to the message. Based on similarity of the tech to their other communication / entertainment interfaces it could be argued that Interactive Presentation Technology will engender a more positive affective response than that ascribed to a blackboard. The above discussion in conjunction with our earlier foray into Symbolic Interactionism can therefore be used as bases for the argument that Interactive Presentation Technology aids education: based on the assertion that the up-to-date functionality of the category is congruent with modern student media expectations. Thus: a) associating direct positive affect towards the medium with the message, b) By nourishing Role Identity ‘Modern youth’ indirectly ascribing positive affect to the medium. Let’s examine some other factors below which might also garner positive affect towards Interactive Presentation Technology. The collaborative aspect of Interactive Presentation promotes positive education outcomes: As far back as 2004 CIO mooted ‘Value lies in the cocreation experience of a specific [consumer], at a specific point in time, in a specific location, in the context of a specific event.’ Further to which Hoyer, Chandy, Dorotic, Krafft, and Singh (2010) state if the customer is in any way involved in the product development process then brand-Identity congruence is reinforced. By supplanting the word ‘consumer’ with ‘student’, and ‘product’ with ‘lesson’ we have a strong argument supporting positive Identity work outcomes resulting from the use of Interactive Presentation Technology in the classroom. Why all the parallels between education and marketing? From the simplest / purest perspective, marketing is ‘The Exchange of Value’ and marketers are trained to apply methods which appeal to the consumer perception of what Value is. In much the same way as educators must speak the language of the student to sell them on the Value inherent to the lesson. If the presenter of a lesson is excited by the lesson, it is very likely the students will also be excited by the lesson. Citing Bandura (1977), and his Social Learning Theory (SLT), McGregor (2009) explains ‘that people not only learn from their own personal, lived experiences. They also learn from watching what others do, and what happens to these people when they do it. In essence, people can learn behaviours, emotional reactions and attitudes from watching other people.’ Therefore, if the teacher is enthused by a lesson, the students are likely to absorb that enthusiasm. Early paragraphs in this article illustrate how interactive presentation devices can nourish Educator Identity work, which in turn enhances the Educator experience in the classroom. According to SLT, this enhanced experience (and its’ associated semiosis) would be absorbed and adopted by the students. Another win for interactive presentations! There we have it! This article presented various perspectives to support the adoption of Interactive Presentation Technology. We’ve looked at what functionality is new to this technology comparative to passive presentation tools, suggesting this functionality enhances educational outcomes. The Identity benefits inherent in this functionality have been explored as have the Identity benefits gained by using state of the art equipment: For Students as well as Teachers. Arguments have been made asserting that modern students respond most favourably to modern presentation equipment and that this leads to better education outcomes also. So how can an educational institution incorporate that into a pitch for new students? We could start with something along the lines of ‘The state of The Art teaching tools we use maximize knowledge exchange, promoting satisfied Teaching Staff and engaged Students’. If that doesn’t sell them, flick them the link to this article. Who are we to say all this? The team at 5thCornerCommercial has been heavily involved in this industry space and technology for the last 15 years. Based on this in-depth experience we have put together interactive presentation packages that offer the highest functionality at the most reasonable price-points. All backed up by our industry leading client support ethos. Not only in terms of interfacing with the products we recommend and install, but also in terms of interfacing with our team as technical sales advisors, customer relationship managers, and after sales service providers, we really care about the client experience, because if you’re not happy with the experience, we’re not happy with the experience either. Arndt, H., Janney, R.W. (1991), Verbal, Prosodic, and Kinesic Emotive Contrasts in Speech, Journal of Pragmatics, 15, 521-549. Cha, J. (2011), Exploring the Internet as a unique shopping channel to sell both real and virtual items: A comparison of factors affecting purchase intention and consumer characteristics, Journal of Electronic Commerce Research, 12, (2), 115-132. Collinson, J.A., Hockey, J. (2007). ‘Working Out’ Identity: Distance Runners and the Management of Disrupted Identity. Leisure Studies, 26 (4), 381-398. Cooley, C.H., (1972), Looking-Glass Self, In Mantis, J.G., Meltzer, B.N. (Eds.) (1972), Symbolic Interaction: A Reader in Social Psychology (pp231-233). Boston: Allyn and Bacon Ltd.
Csikszentimihalyi, M. (1975). Beyond boredom and anxiety. San Francisco: Jossey-Bass. Csikszentimihalyi, M. (1990). Flow: The psychology of optimal experience. New York: Harper & Row. Dennis, A., Martin, P.J. (2005). Symbolic Interactionism and the Concept of Power. The British Journal of Sociology, 56 (2), 191-213. Eid, M. (2011). Determinants of E-Commerce Customer Satisfaction, Trust, and Loyalty in Saudi Arabia. Journal of Electronic Commerce Research, 12, (1), 78-93. Ezzell, M.B. (2009), “Barbie Dolls” on the Pitch: Identity Work, Defensive Othering, and Inequality in Women’s Rugby. Social Problem, 56 (1), 111-131. Fishbein, M. (2008), A Reasoned Action Approach to Health Promotion, Medical Decision Making, 28, 834-844. Fishbein, M., Ajzen, I. (1975), Beliefs, attitude, intention and behavior: An introduction to theory and research, Reading, MA, Addison-Wesley Publishing Company. Fitzmaurice, J. (2005), Incorporating Consumers’ Motivations into the Theory of Reasoned Action, Psychology & Marketing, 22, (11), 911-929. Freer, P. (2007), The Conductor’s Voice: Flow and the Choral Experience. Choral Journal, 48 (2), 8-19. Garrity, E.J., O’Donnell, J.B., Kim, Y.J., & Sanders, G.L. (2007), An Extrinsic and Intrinsic Motivation-Measuring Model for Measuring Consumer Shopping Oriented Web Site Success. Journal of Electronic Commerce in Organisations, 5 (4). 18-38. Goffman, E., (1959), The Presentation of Self to Others, In Mantis, J.G., Meltzer, B.N. (Eds.) (1972), Symbolic Interaction:A Reader in Social Psychology (pp234-245). Boston: Allyn and Bacon Ltd.
Ha, S., Stoel, L., (2009), “Consumer e-shopping acceptance: Antecedents in a technology acceptance model. Journal of Business Research, 62, 565-571. Hoyer, W.D., Chandy, R., Dorotic, M., Krafft, M., & Singh, S.S. (2010). Consumer Cocreation in New Product Development. Journal of Service Reseaerch, 13 (3), 283-296. Jung, Y., Perez-Mira, B., & Wiley-Patton, S. (2009). Consumer adoption of mobile TV: examining psychological flow and media content. Computers in Human Behavior, 25, 123-129. Kwak, D.H., Kang, J.H., (2009), Symbolic Purchase in Sport: the Roles of Self-Image Congruence and Perceived Quality, Management Decision, 47 (1), 85-99. Laverie, D.A., Kleine, R.E., & Schultz Kleine, S., (2002), Reexamination and Extension of Kleine, Kleine, and Kernan’s Social Identity Model of Mundane Consumption: The Mediating Role of the Appraisal Process, Journal of Consumer Research, 28, 659-669. Lewis, V.J., Kasima, Y. (1992), Applying the Theory of Reasoned Action to the Perdiction of AIDS-Preventative Beaviour, In Terry, D., Gallois, C., McCamish, M. (Eds.) (1992), The Theory of Reasoned Action: Its Application to AIDS-Preventative Behaviour (pp29-46). Oxford: Pergamon Press Ltd.
Mano, H., Oliver, R.L., (1993), Assessing the Dimensionality and Structure of the Consumption Experience: Evaluation, Feeling, and Satisfaction. Journal of Consumer Research, 20, 451-466. McGregor, S.L.T., (2009), Reorienting consumer education using social learning theory: sustainable development via authentic consumer pedagogy. International Journal of Consumer Studies, 33, 258-266. Meltzer, B.N. (1967), Mead’s Social Psychology. In Mantis, J.G., Meltzer, B.N. (Eds.) (1972), Symbolic Interaction:A Reader in Social Psychology (pp4-22). Boston: Allyn and Bacon Ltd.
Merrell, F. (2001). Charles Sanders Pierce’s concept of The Sign. In Cobley, P. (Ed.) (2001), The Routledge Companion to Semiotics and Linguistics (pp28-40). London: Routledge. Partington, S., Partington, E., & Olivier, S. (2009). The Dark Side of Flow: A Qualitative Study of Dependence in Big Wave Surfing. The Sport Psychologist, 23, 170-185. Rachman. S., (1981), The Primacy of Affect: Some Theoretical Implications, Behaviour Research and Therapy,19, 279-290. Russell, B. (1946), A History of Western Philosophy, London, George Allen & Unwin Ltd.
Russell, James A. (1979), “Affective Space Is Bipolar,” Journal of Personality and Social Psychology, 37 (September), 345-356. Russell, James A. (1980), “A Circumplex Model of Affect,” Journal of Personality and Social Psychology, 39 (December), 1161-1178. Russell, James A. (1991), “Culture and the Categorization of Emotions,” Psychological Bulletin, 110 (November), 426-450. Strachan, S.M., Brawley, L.R. (2008), Reactions to a Perceived Challenge to Identity: A Focus on Exercise and Healthy Eating, Journal of Health Psychology, 13 (5), 575-588. Sirgy, M.J. (1986). Self-Congruity: Toward a Theory of Personality and Cybernetics, New York: Preager. Sirgy, M.J., Grewal, D., Mangleburg, T.F., Park, J., Chon, K.S., Claibone, C.B., Johar, J.S., & Berkman, H. (1997). Assessing the Predictive Validity of Two Methods of Measuring Self-Image Congruence. Journal of the Academy of Marketing Science, 25 (3), 229-241. Terry, D., Gallois, C., McCamish, M., (1992), The Theory of Reasoned Action and Health Care Behaviour. In Terry, D., Gallois, C., McCamish, M. (Eds.) (1992), The Theory of Reasoned Action: Its Application to AIDS-Preventative Behaviour (pp1-29). Oxford: Pergamon Press Ltd.
Trafimow, D. (2009). The Theory of Reasoned Action: A Case Study of Falsification in Psychology. Theory & Psychology, 19 (4), 501-518. Umit Kucuk, S. (2009), Consumer empowerment model: from unspeakable to undeniable, Direct Marketing: An International Journal, 3, (4), 327-342. Weiten, W. (2001), Psychology Themes & Variations, Belmont, CA, Wadsworth / Thompson Learning.